Rising unemployment rates across Indiana’s metropolitan areas in January are typical right after the holiday season, according to a Purdue University Northwest economist. January jobless rates for the Gary area, Elkhart-Goshen area, Michigan City-La Porte area and South Bend-Mishawaka all increased for the month when compared to January 2018, according to data released by the Indiana Department of Workforce Development. 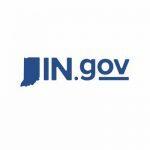 Indiana’s jobless rate in January was 4.1 percent, up from 3.4 percent in December but still below the national rate of 4.4 percent. Anthony Sindone, clinical assistant professor of finance and economic development for Purdue University Northwest, said rising jobless rates may have been influenced by rising labor force participation, meaning more people in the market seeking employment. Sindone said companies are continuing to employ technology, which will displace workers at least in the short run. The Gary area’s jobless rate in January was 5.4 percent, up from 5 percent in January 2018. The Elkhart-Goshen area’s rate was 3.7 percent in January up from 2.5 percent the same month last year. In the Michigan City-La Porte area, January’s jobless rate was 5.5 percent up from 5.1 percent in January 2018. The South Bend-Mishawaka’s jobless rate in January was 4.3 percent, up from 3.9 percent when compared to last January.